Sleep is a luxury. Many will agree with that premise. The more advanced our technology becomes, the more likely we are to lose sleep. It is a sad truth that we have learned to live with over the years. There are simply so many things that need to get done that we unconsciously put off our sleep and will ourselves to stay awake until the wee hours of the morning in our ruse of being more productive. In reality, we are doing more harm than good by depriving ourselves of precious sleep. It is not just the lost hours that we are talking about here, it is what you subject your body to endure. Are you even aware that chronic sleep deprivation does not just deprive you of sleep of essential oxygen needed by every single cell in your body? As a result, you become more prone to numerous diseases and afflictions like debilitating and deadly ones such as heart attack and stroke. People these days like to portray being a night owl as something cool. Imagine going to all the coolest clubs and hotspots in the dead of the night when the supposedly uncool people are already tucked in bed fast asleep. Unfortunately, our body gradually suffers from each all-nighter we pull. There is a reason why we sleep at night and we are not about to start an argument on science about it. Sleep should is a restorative process that not only heals our bodies from the strain and stresses it had to put up with throughout the day but also to prepare it for what lies ahead tomorrow. But when you stay up all night long doing God knows what, you essentially miss out on the benefits of sleep and subject yourself to the dangers of chronic sleeplessness. “We certainly know that a lack of sleep will actually prevent your brain from being able to initially make new memories, so it’s almost as though without sleep the memory inbox of the brain shuts down and you can’t commit new experiences to memory,” he says. However, that’s not the worst of it. Lack of sleep can also lead your brain to develop a greater concentration of beta amyloid, a toxic protein that’s linked to Alzheimer’s disease. “It is during deep sleep at night when a sewage system within the brain actually kicks into high gear and it starts to wash away this toxic protein, beta amyloid,” Walker explains. “So if you’re not getting enough sleep each and every night, more of that Alzheimer’s-related protein will build up. Different parts of your body can feel the impact of sleep deprivation. Your body’s defenses go down the more nights you stay up thereby leaving your body unable to fend off pathogens and infections in case you are exposed to one. 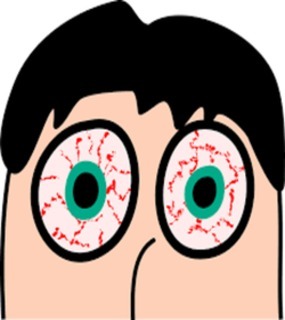 You easily get sick and feel sleepy, tired, and generally exhausted and irritated the whole day. You increase the risk of you developing and succumbing to certain diseases like cancer because again, your defenses are down and you did not give your body a chance to recharge by neglecting sleep when you were supposed to be sleeping soundly in bed at night. He describes how lack of sleep creates problems with anger and violence control, and is linked with “aggression, bullying and behavioural problems”. What was that I remember about Donald Trump living on just four hours of sleep a night? And for more gory detail than you would probably like, sleep starvation also massively compromises a man’s testicles, virility and testosterone levels: “The hormonal blunting effect (of lack of sleep) is so large that it effectively ages a man by 10-15 years in terms of testosterone virility.” Sperm counts are on average 29 per cent lower than for men who sleep better. Saying that sleeplessness is an epidemic is more of an understatement. It is an epidemic we gladly put ourselves in without having second thoughts as to its repercussions in the coming years. Don’t be a victim of this mentality and learn to care for yourself first because you only have one body to last you a lifetime. The truth is, your lifetime and the quality of your life depends on how well you take care of your body and that includes adopting a regular sleeping schedule and sticking to it religiously aside from practicing a healthy lifestyle overall. If you happen to suffer from a sleep disorder, head to the doctor right away. Don’t simply shrug it off as a mere inconvenience but think of it as the medical condition that it is. Sleep apnea, for instance, poses more danger than we like to acknowledge and we are not just focusing on the annoying snoring sound these people makes. 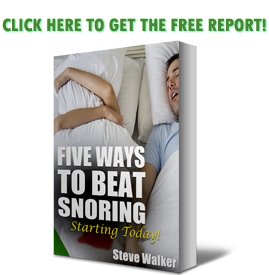 If you haven’t seen a doctor yet for whatever reasons, protect yourself from more harm by using anti-snoring mouthpieces such as https://snoringmouthpiecereview.org/snorerx that not just reduces the snoring sound but address the anatomical problem to prevent breathing gaps that characterizes sleep apnea. CPAP isn’t a popular choice for patients and here’s why https://snoringmouthpiecereview.org/why-a-cpap-machine-is-probably-not-for-you.